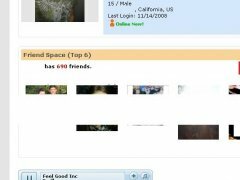 Myspace Scripts / Tagged with "more"
Use this code to hide Myspace's "View More" link which is next to your status, status date, and mood in Myspace 2.0.
the preview says it all! Hide "View" text and the links that follow! Hide "View" text and the links that follow in the friends module!